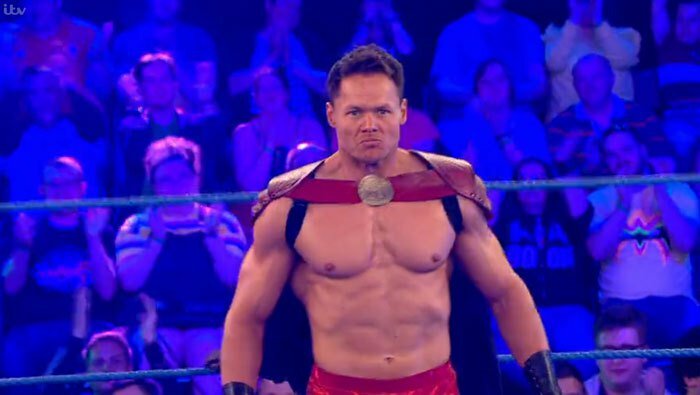 World Of Sport Wrestling star, Justin Sysum recently spoke with ProWrestling.com about the future of the company and who his dream opponent is. Sysum was a major player for the re-launch of WOS, finishing the series as the WOS Champion, and he spoke about what it was like to be part of the company, as well as discussing what the future holds for the show. The television exposure on ITV is something that certainly helped all of the roster in terms of gaining exposure, and Sysum reflected on that. With a second series of WOS being something that Sysum would like to see, he discussed which wrestlers he would like to see possibly be added to the roster if it was to return. Sysum went on to discuss the increase in places that can offer guaranteed contracts, from NXT UK to AEW and MLW, and how it is a positive thing for the wrestlers, especially when thinking about retirement. Sysum is known for playing a very clean, babyface character and he discussed how that came about, including the nod he gave to Marvel character, Thor. Finally, Sysum revealed who his dream opponent is in wrestling, which happens to be AEW star, PAC, although Sysum admitted the prospect of facing the former WWE Cruiserweight Champion does make him nervous.